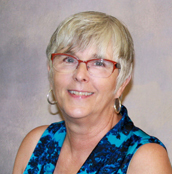 Pat Kennedy has been involved with early childhood education for close to forty years. She has a Masters in Education from JMU. She has served as adjunct faculty for the College of Education for the past ten years. She comes to YCP from the Institute for Innovation in Health in Human Services where she started the Reading Road Show – Gus Bus program and was the grant manager for several programs that serve our local community.